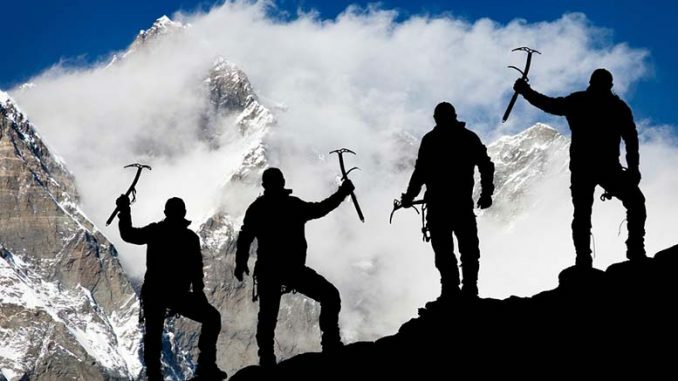 Mount Everest Crypto Stunt: Most crypto enthusiasts are aware that May was a busy month. There was stuff happening in the space almost every week. Companies announced new partnerships and rolled out new projects. Governments around the globe met to discuss crypto regulation. And some cryptocurrencies plunged on the market for what seemed like the entire month. Amid the overload of crypto news, there was a devastating exception. Last week, four crypto enthusiasts and three Sherpa’s summited Mount Everest, the highest mountain above sea level. The decision to summit Everest was not one fueled by a desire for adventure, either. It was a publicity stunt, funded by ASKfm.io, a Ukrainian social media startup. In the start up’s search for fame, a local Nepalese Sherpa lost his life. Unfortunately, that’s not what people are taking out of this story. And it is certainly not why it is one of the craziest, and saddest, things to happen in crypto in May 2018. The four crypto climbers and their remaining two Sherpa’s may have summited successfully, but one local man did not. His name was Lam Babu, and he was a 45-year old experienced climber. He had summited Everest three times. Fatality on Everest is not new. Many have lost their lives in the “death zone,” scaling the Hillary Step, a 40-foot wall of snow just below the summit. However, this fatality affected not only the Sherpa’s family and the climbing community but also the crypto community. Meanwhile, the CEO of Dash Pay has come forward, stating the Mount Everest crypto stunt was nothing but an “act of stupidity,” and it will not do the crypto industry any favors. He added that it is a clear example of the “lack of business maturity” in the industry. This sort of event and crypto stunt was definitely not expected to occur this month. However, it did become one of the more talked about things in crypto in May. Our hearts go out to Babu Sherpa’s loved ones, and we hope that people can learn from this event. No matter how important your business or project is, it is not worth risking people’s lives.